Mick Barber died, suddenly, on the 20th October 2017 aged 82. Born in Wakefield he and his sister Sheila were the children of profoundly deaf parents. As such, sign language was their first language. After attending Wakefield Grammar School he completed two years National Service in the Army. Subsequently, whilst working as a telephone engineer he had an industrial accident; in which he lost his sight in one eye. Unable to continue in his chosen career but having a profound understanding of deafness, deaf people and sign language communication he became a Social Worker to the Deaf. His first appointment was as a trainee welfare officer (Missioner) at Hartlepool Society for the Deaf. From there he gained further experience with East Riding County Council based in Beverley and then, in the mid-1960s took up the position of Missioner to the Deaf and Dumb in Carlisle. The mid-1960s onwards brought about considerable improvement in the provision of services and in the opportunities for Deaf people. National and local Deaf associations dropped the pejorative word ‘Dumb’ from their title. British Sign Language (BSL) became recognised as a language. Signing and sub-titling were introduced on television (Mick was the first to sign the news on Border TV). Residential schools were closed with deaf children being educated in mainstream schools. Many deaf people of all ages gained from cochlear implants and technology reduced the isolation through the medium of texting, Skype, subtitling and disability rights access. Mick, as Chief Executive of Cumbria Deaf Association, played a leading role in ensuring deaf people took advantage of the new opportunities. In 1991, just before his retirement in the same year, he was awarded an MBE for his services to deaf people. His wife Doreen shared in his total commitment to the work of Cumbria Deaf Association. They had two sons, Jonathan and Matthew and, after Doreen’s untimely death, Mick brought up the two boys on his own. When they had grown up and moved from home Mick moved in with his new partner, Carol, and they married on his 60th birthday. On retirement Mick developed a full and wide-range of interests which included model engineering, short-wave radio, Tools for Self Reliance, Carlisle Quakers, the Geoffrey Bennett Charitable Trust and, most of all, people. His concern for others, together with his wise and accepting nature endeared him to a broad range of people. Mick will be remembered, by many, as a feature of the Tullie House restaurant, sipping his coffee, welcoming others to join him, and enjoying a crack about every subject under the sun. In 2016 he was thrilled and proud when an unexpected grandchild – Emrys John – was born. In recent years Mick’s increasing frailty persuaded him and Carol to downsize and move to a flat in Denton Holme where he settled into a routine of sharing companionship and chat with new neighbours in the garden, and walking slowly to the community café where he rapidly became a well-loved fixture; ready to talk, or lend a friendly ear to all-comers. 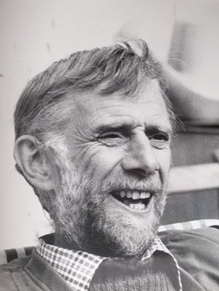 Kindness, decency and interest in others is how many people will remember Mick, but he was also a man who made a very real contribution to the welfare and opportunity of deaf people. He will be greatly missed by all who knew him.